Designed exclusively for all the Ladies out there. It has all the characteristics of the Femme Fatale character, a mysterious and seductive woman having power over men. It's a Gorgeous new design with Roses. The Blade is stainless steel. The upper portion of the blade features a rose petal pattern. 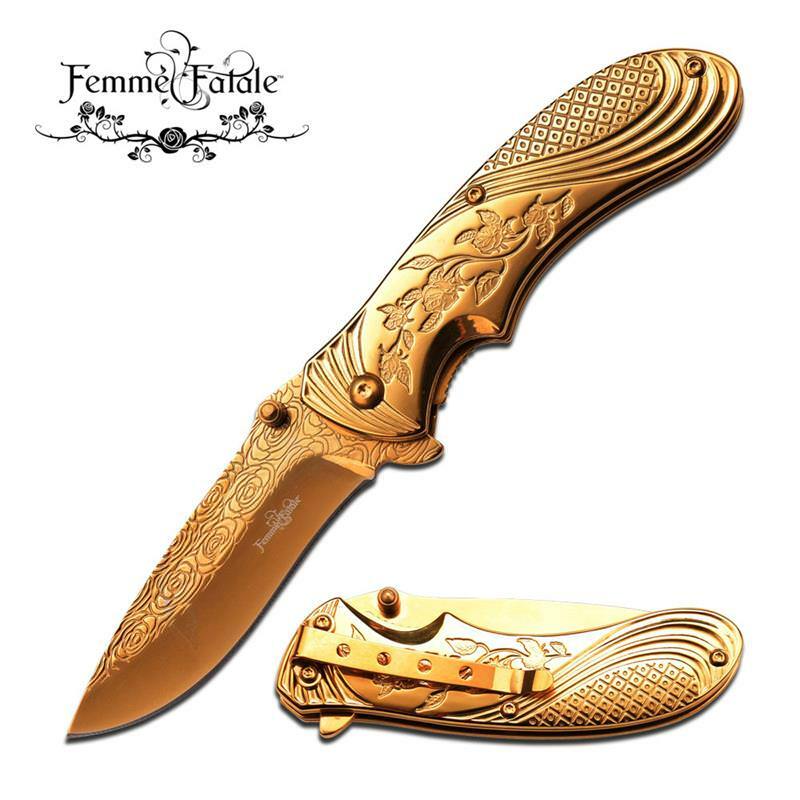 A small etched Femme Fatale logo is on the lower portion of the blade by the handle. It's Liner Locking with an ambidextrous Thumb Stud and Thumb Spur for easy opening. Comes Factory Sharp. 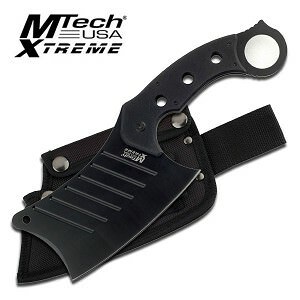 The Handle is also stainless steel, both the scales and inner frame. It features a rose bush design. The back side comes with a pocket/gear clip for easy carrying. Opening is the same as regular folder, but once the opening process is manually started, then the Internal Spring Kicks in, and helps to fully open it. Making it Quick, Smooth and Easy to open. !